OPPO F1s Upgrades: Bigger RAM, More Space! 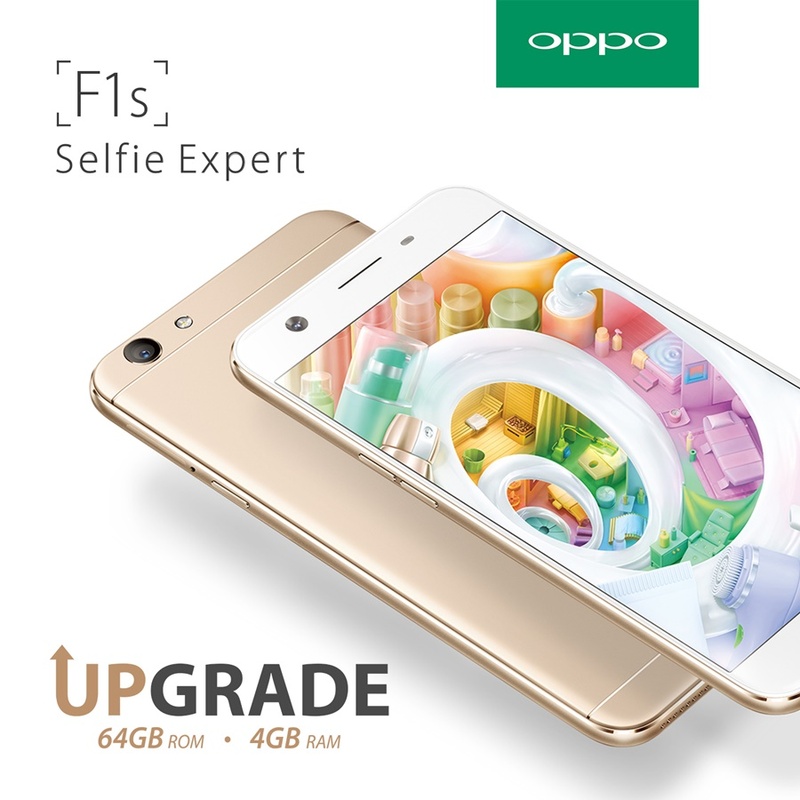 An upgraded variant of the OPPO F1s with increased internal storage capacity and larger RAM for snappier performance debuts recently in Philippine stores. The upgraded F1s expands storage space from 32GB to 64GB, and sports a 4GB RAM instead of the original 3GB RAM. The new variant is already available in concept and dealer stores and now is the time to level up your OPPO F1s if you already have the old model or if you're planning to buy one, get one now!!! The new phone retains the other specifications of the original F1s including the 16-megapixel front camera for crisp and vivid selfies even in low light, thanks to a 1/3.1-inch sensor and large f/2.0 aperture. The new variant also retains the 13-MP rear camera, palm- and voice-activated selfie commands, the fingerprint-activated calling and app launch, and the beautification feature Beautify 4.0. I'm not a techi expert but based on what I've read yes po lalo na kung hindi malaki yung RAM baka mag crash or mag hang yung ibang apps. Hindi pa yata lahat naka Nougat OS.